Score one for the Boston Herald: Today’s feisty local tabloid beats its crosstown rival to a juicy local story. 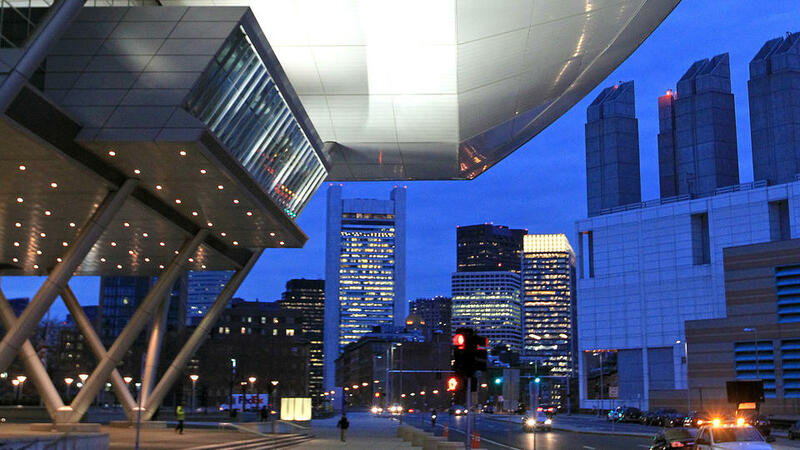 A panel headed by City Council President Bill Linehan is floating the controversial idea of naming the Boston Convention & Exhibition Center — a key landmark closely linked to the recently deceased Mayor Thomas M. Menino — after former Mayor Raymond L. Flynn. The proposal, included in a press release yesterday by the Raymond L. Flynn Commission headed by the South Boston councilor, met with immediate resistance from longtime city observers who worked with both mayors. “Ray Flynn and Tom Menino were both old friends and they both deserve recognition, but I was in the trenches when I represented the City Council in the late 1990s, and Tom Menino was the person who drove the construction of the convention center, there’s no doubt about that,” said Larry DiCara, a former council president. Along with that piece the Herald includes the obligatory reader reaction and also – awkward! 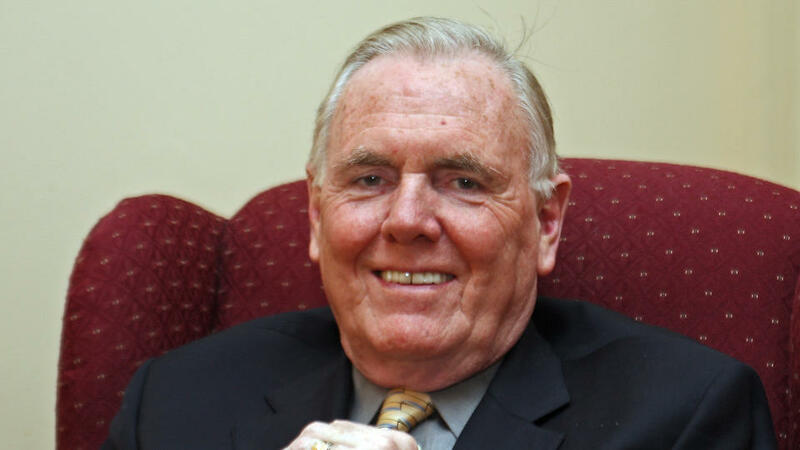 – this column by the paper’s occasional chinstroker, Ray Flynn himself. At the outset, let me say I never wanted my name on any city building or billboard — not even a sign at a baseball field. But I am humbled by the kind gesture of Boston City Councilor Bill Linehan and his committee in recognizing my service to the people of Boston over the years. The honor of serving the city I love was always enough for me. Working hard every day and doing the best I could for the needy and those without a political voice was all I ever wanted to do. Linehan – as he so often does – started moonwalking as soon as his trial balloon drew the least bit of heat. Right now, we know something will be named after Flynn and something after Menino – details TBA. Details also TBA in the Boston Globe, which at post time had nothing on the naming rumpus. 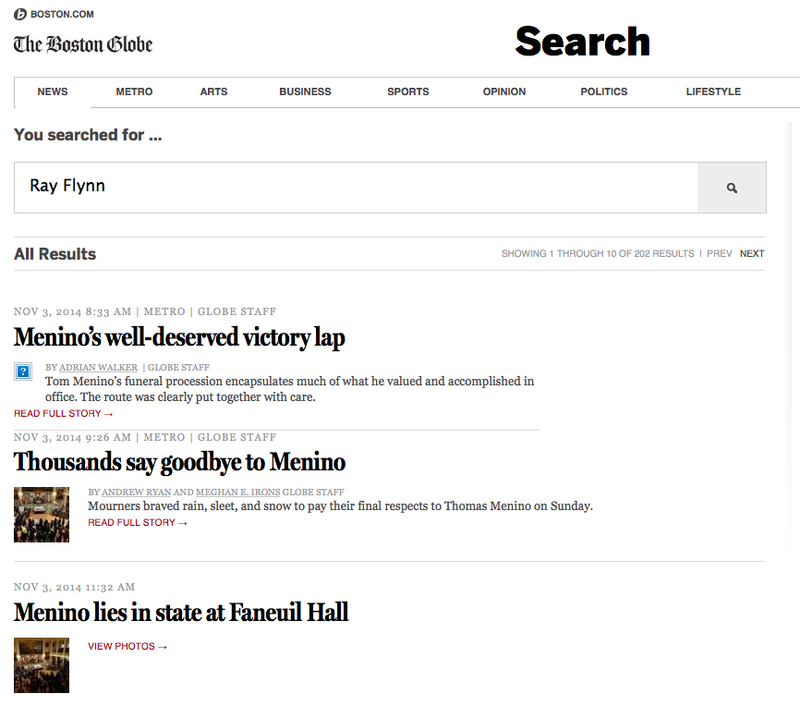 Maybe the stately local broadsheet should give Ray Flynn a column, eh? This entry was posted on Friday, November 14th, 2014 at 11:48 am and is filed under Uncategorized. You can follow any responses to this entry through the RSS 2.0 feed. You can leave a response, or trackback from your own site.